Balanced, clean and healthy meals don’t have to be bland or hard to make. Check out the Body Confident Nutrition Program! The Body Confident Nutrition Program takes you through step-by-step preparation of wholesome, delicious meals to help you stay on track each week without feeling unsatisfied or deprived. No binging or bouncing back here! This meal plan provides quick and effective methods to support you in reaching your health and weight loss goals. 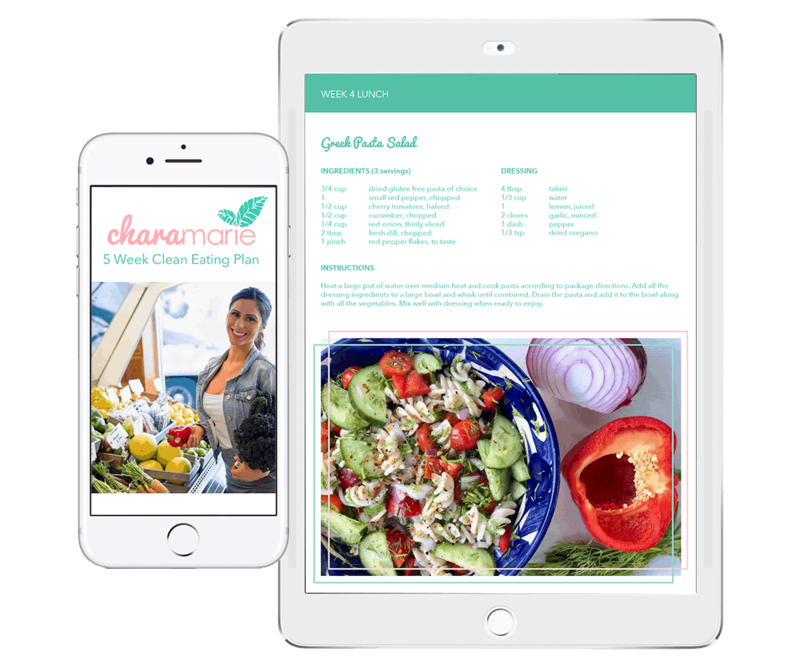 Chara has an open, fun, and flexible approach to nutrition and health. She helped me achieve my goals without being pushy, restrictive or creating any negativity around food. She picked up on things I didn't even notice about my own habits. I didn’t feel like I had to hide any diet "slip-ups" with her. She understood my temptations and provided me with the tools and strategies I needed to help change my habits, reach my goals and satisfy cravings with healthier alternatives. Her approach to health isn't just about nutrition and food either, she provided me with great tips on how to sleep better and reduce stress. Working with Chara has given me the foundation I needed to clean up my health and diet. The meal plan Chara created for me helped alleviate symptons I was experiencing from food allergies. It is perfectly tailored to my lifestyle, helping me stay on track with my goals. With Chara's guidelines and advice, I have experienced an incredible difference!